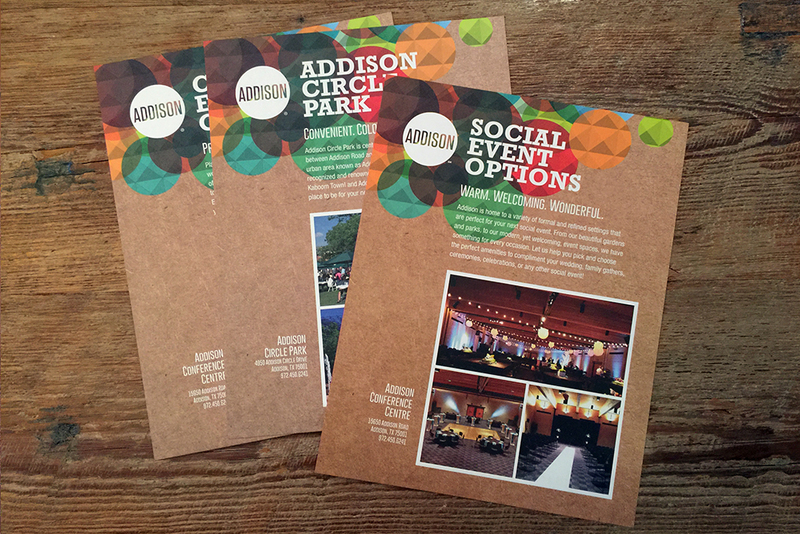 We designed 4 unique flyers for the Town of Addison to use as a way to promote event venue options. 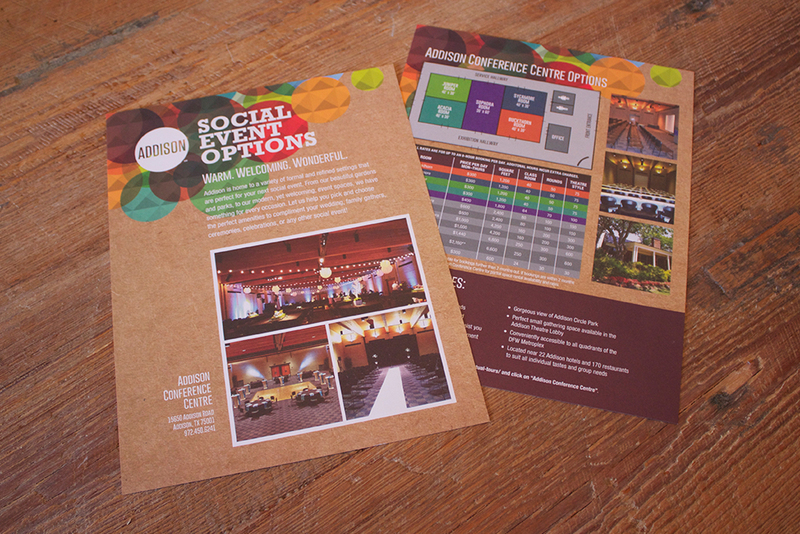 Part of the task was finding a way to present the flyers in a package that could be mailed to potential customers. 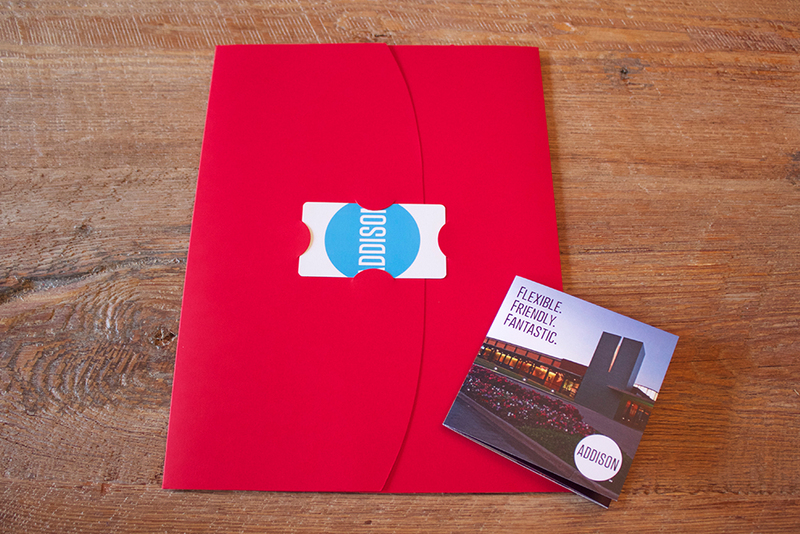 Rainmaker sourced folders and envelopes specifically for this job.